"A good friend, Mrs Welch, gave me this recipe in the mid 1970's. It's fail-proof, it's delicious, and it's quick-and-easy using ingredients I usually have on-hand." One of the packaged pastry mixes (such as Robin Hood®) works well if you aren't inclined to make your own pastry. This is best with an unsweetened tart shell. The filling is sweet enough. 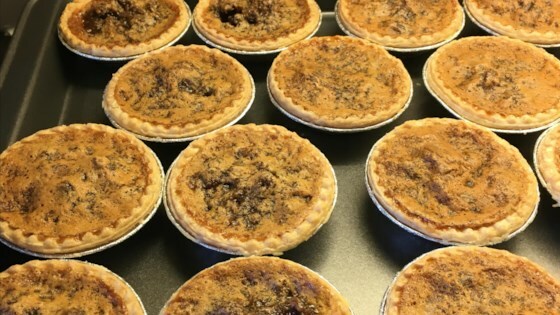 An excellent pastry recipe to use for these butter tarts is Never, Never Fail Pie Pastry. I've eaten plenty of butter tarts but had never baked them myself until now. This recipe is bang-on + fool-proof! Love it!